An ethnic Armenian judoka representing Russia fought successfully at a World Masters Olympic rating tournament of the International Judo Federation hosted by Azerbaijani capital Baku. In the 60-kg weight division Arsen Galstyan reached the final on Saturday after beating Azerbaijani fighter Ilgar Myushkiev in the semis, reports Azeri sport portal Apasport. The Armenian fighter, however, settled for second place after losing, in the final, to the world leader in the division Rishod Sobirov representing Uzbekistan. Galstyan, 21, from Krasnodar, southern Russia, won the European title in his weight category in 2009 and became a bronze medalist at the World Judo Championships in 2010. The young Armenian, however, grabbed media headlines when last month he fought, as a sparring partner, against Russian Prime Minister Vladimir Putin, a black belt and former judo champion. The tournament in Baku had brought together judokas from more than 40 countries. No athlete representing Armenia, however, participated in the competition important in terms of scoring points ahead of next year’s Summer Olympic Games in London. Armenia and Azerbaijan have a history of troubled relations in sports after fighting a bloody war over Nagorno-Karabakh in the early 1990s. The unresolved conflict still affects contacts between the two countries’ sport officials and athletes. In the past Armenian athletes (such as wrestlers and boxers) participated in a limited number of sporting events hosted by Azerbaijan amid strict security measures taken by local and international organizers. 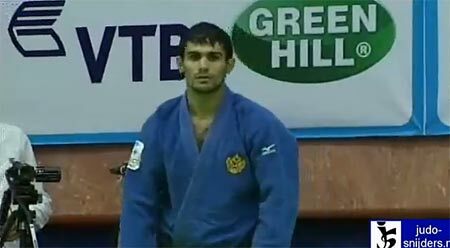 Armenia also hosted athletes (including junior judokas) from Baku on a limited number of occasions in the past. Still, more often than not, sportsmen and officials in both Armenia and Azerbaijan would shy away from such travels for security reasons.